Snagit (Windows): Turning off the floating, on-screen user interface. 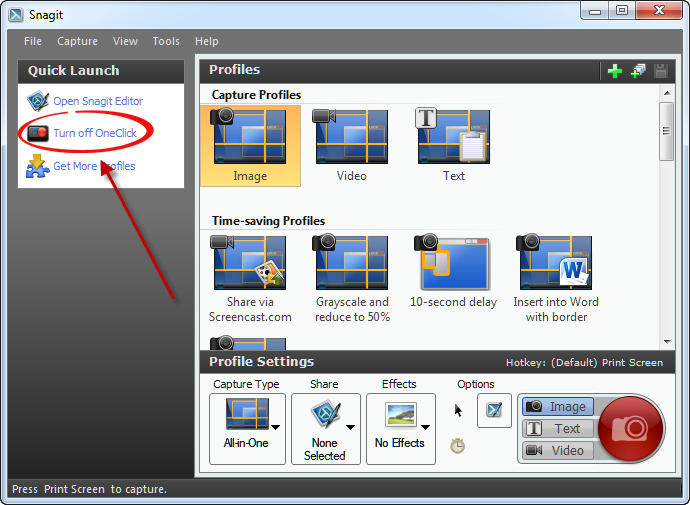 This is called the “Capture Window” in Snagit 12 and “OneClick” in Snagit 11. 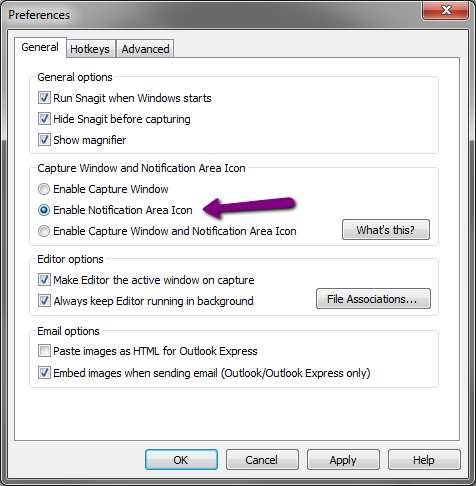 In Snagit 12 you need to click on gear icon to the right of the red capture button and go to preferences. Then choose the option shown below.